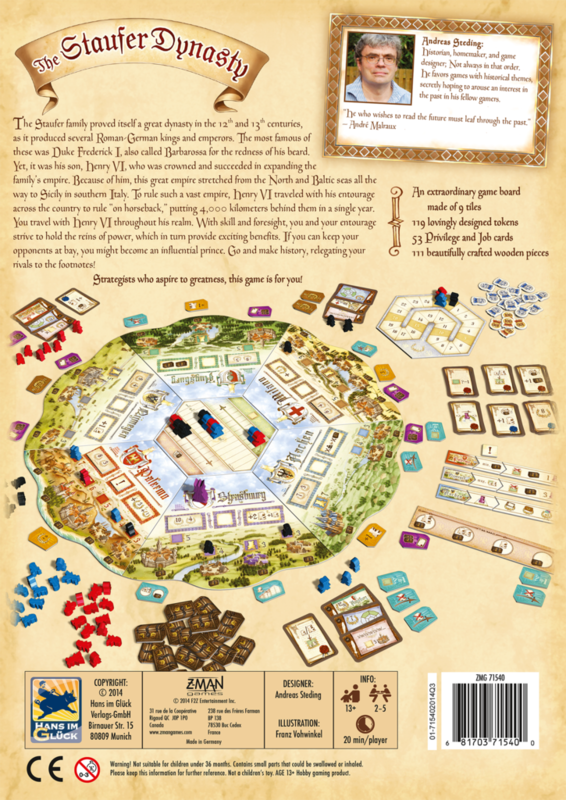 The game lasts five rounds with each player having three actions per round. 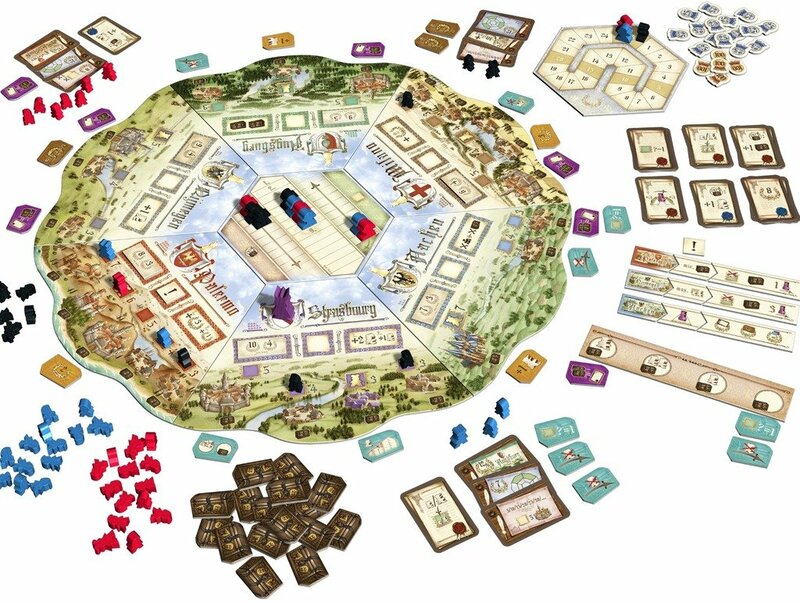 Players take action in order of their family members on the action board from top to bottom, and on a turn you either take a supply action (moving to one side of the action board) or a move/deploy action (moving to the other side). For a move/deploy action, you decide which office seat you want to occupy in a particular region. If this seat isn't in the region where the king is located, you need to spend one envoy as you move clockwise away from the king, placing each envoy in the top part of those regions, until you reach the region that you want to occupy. You then pay the cost of the office seat, placing one figure — possibly a noble if the seat demands it — in that seat and all the other figures in clockwise order, one per region. When you occupy a seat, you claim the chest underneath it.